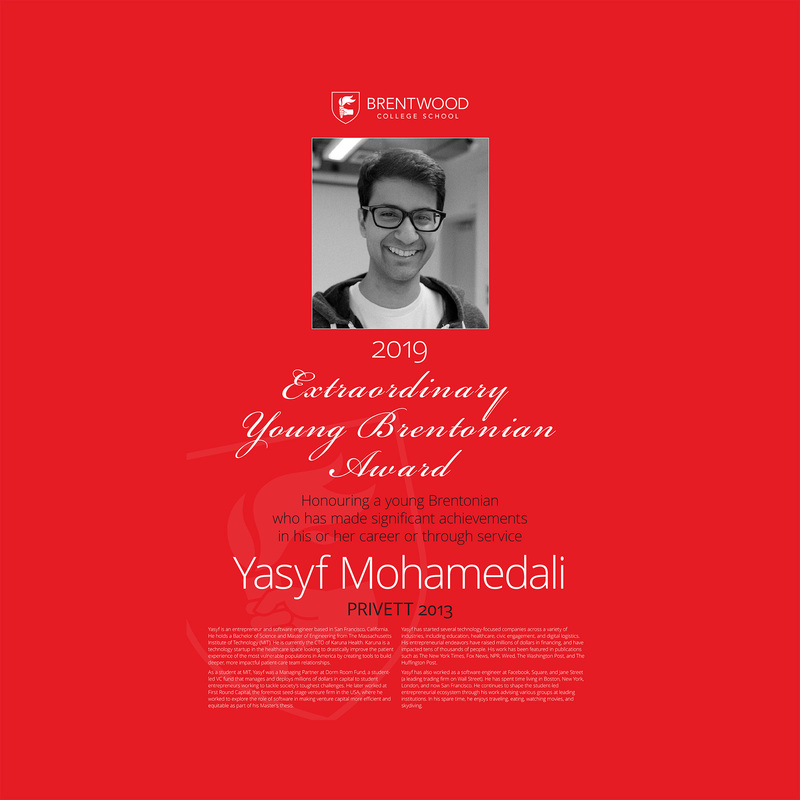 In partnership with the Old Brentonians Executive, we'd like to congratulate our three amazing recipients of this year's Old Brentonian Awards, Yasyf Mohamedali ('13), Claire Crooks ('91), and Geoffrey Alpert ('65). The Old Brentonians Executive works with the Brentwood Advancement office to connect alumni through meaningful events, communications, and experiences for the purpose of strengthening our network of Old Brentonians and generating multifaceted support for our School. If you’re interested in getting involved as a volunteer, Brentwood is always seeking help from Old Brentonians for events, reunion planning, the Brentwood archives, fundraising, and mentoring initiatives. If you are interested in getting involved, please email Amy Weinberg. The Brentwood experience is unique: learning extends well beyond the classroom and lifelong friendships circle the globe. Supporting Brentwood with a charitable commitment can help share this special experience with others who would otherwise not be able to afford it. Our alumni have significantly helped the school over the years – from the early days at Brentwood Bay and the drive to resurrect the school in Mill Bay 50 years ago, to the present. It takes the entire Brentwood family to perpetuate and strengthen our mission to open minds and hearts for life. We invite you to begin, or continue, your tradition of giving to Brentwood today!